Hertz has been helping people enjoy the journey for close to 100 years. 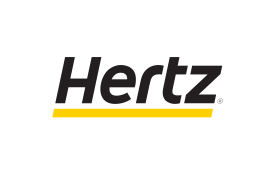 Take advantage of Hertz’s large vehicle selection at over 8,500 locations worldwide, including at most major airports, and drive away with more rewards. Earn Skywards Miles for every dollar you spend, based on your membership tier at over 8,500 Hertz locations globally. Book with Hertz online and select your Emirates Skywards membership tier. To be eligible to earn Skywards Miles you’ll need to add your Emirates Skywards membership number to your booking and provide proof of your Emirates Skywards membership to Hertz when picking up the car. Eligible rentals exclude certain contract, tour operator, airline employee rate, inter-company or employee discount rate, car replacement, long term rentals, chauffeur service, promotional, negotiated rates, complimentary or barter rentals or any rentals in connection with frequent traveller awards, gift certificates or other awards or vouchers and wholesale or tour rates. Skywards Miles will be awarded on rentals made for a maximum length of 30 (thirty) consecutives days. Any additional days will not be eligible to earn Skywards Miles. Skywards Miles will be credited into the Emirates Skywards member’s account approximately six to eight weeks after the car is returned. To claim missing Skywards Miles for rentals completed within the last six months, visit the Hertz website.